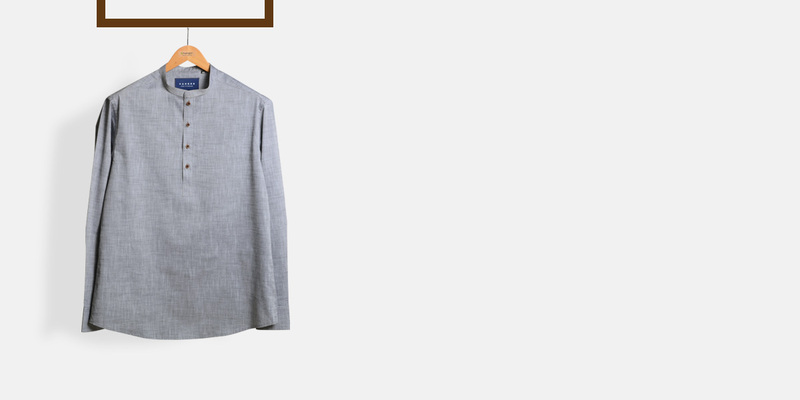 Imperial Chambray Gray Henley Shirt - (100% Cotton, Soft Touch) - Fitted by A.I. 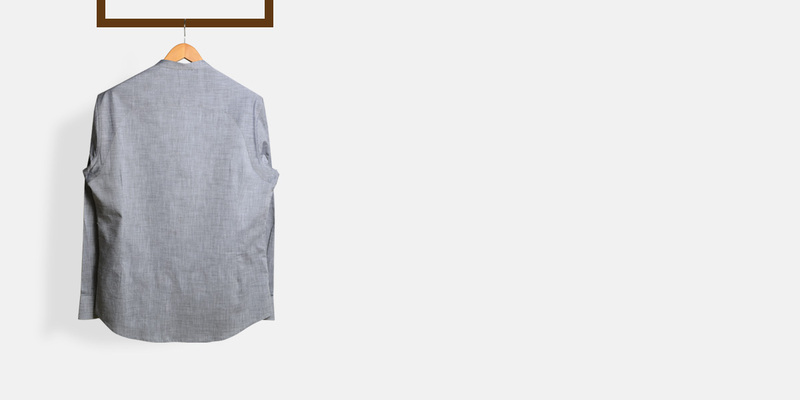 This Imperial Chambray Gray Henley Shirt can be personalized. Create perfection with a simple 3 step process. This Imperial Grey Chambray Henley is designed exclusively by our founder for a man who believes in the power of big dreams and dedication. 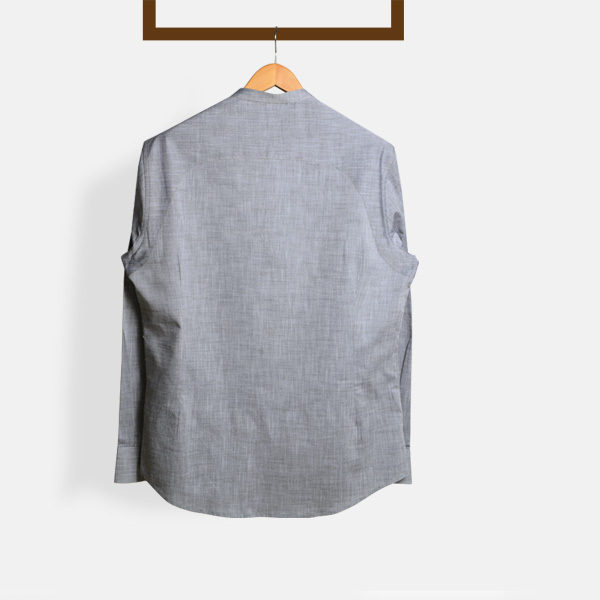 The henley has an oriental backside yoke inspired by the shape of a crescent moon. 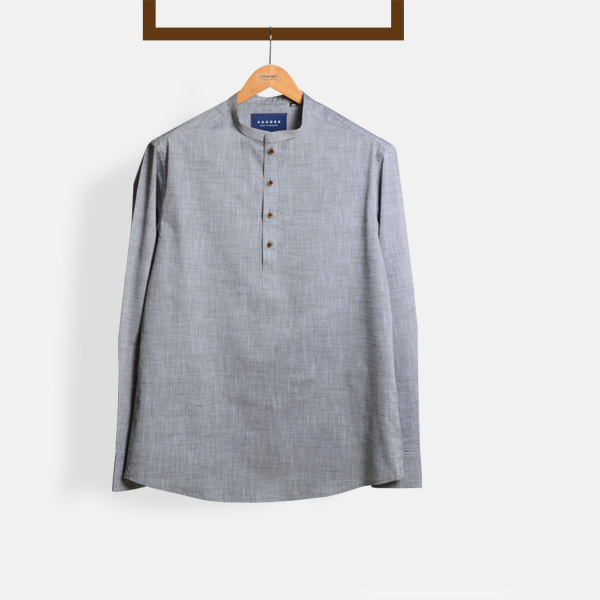 Tailored for a slim fit, this crisp Egyptian cotton henley has a lustrous finish that is complemented by white buttons. The only thing nearly comparable to the simplicity and the beauty of this henley is the moon itself. 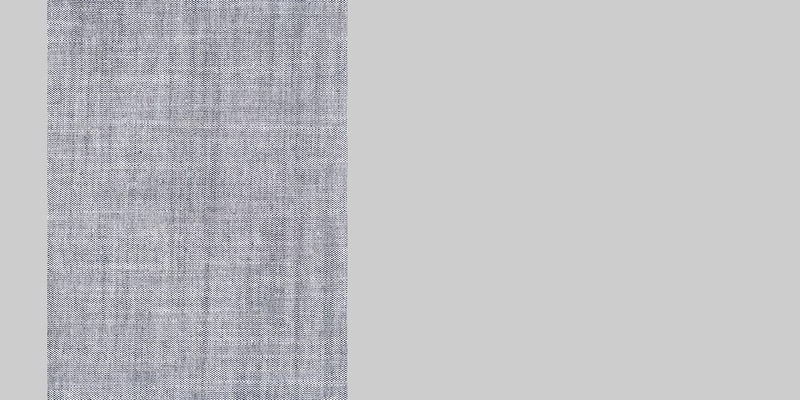 Presenting the - Gray Chambray Egyptain Cotton fabric. 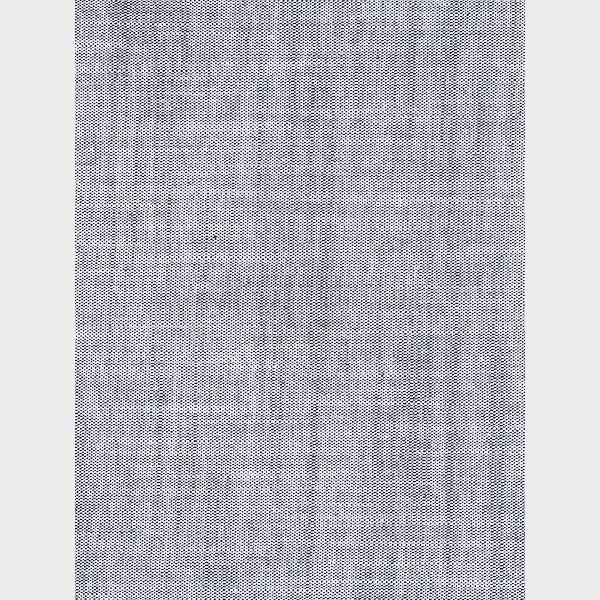 This amazing gray pattern fabric is part of our egyptian cotton collection. This fabric weighs around 98 gsm.